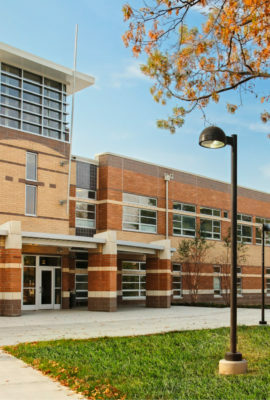 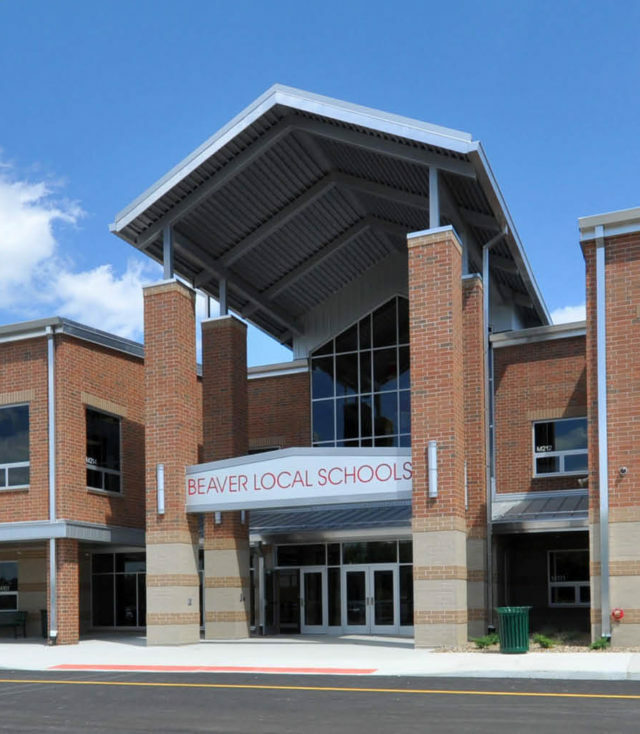 The new Beaver K-12 School provides students with one of the most progressive educational experiences in the state of Ohio. 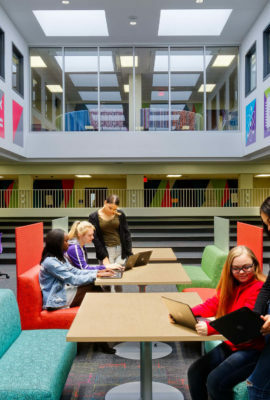 Designed around the “5 C’s”, the school enhances students’ critical thinking, collaboration, communication, creativity and community skills. 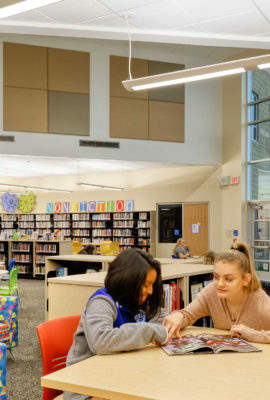 1,722 elementary, middle and high school students now have access to differentiated learning environments that support flexibility, student-centered instruction and project-based learning. 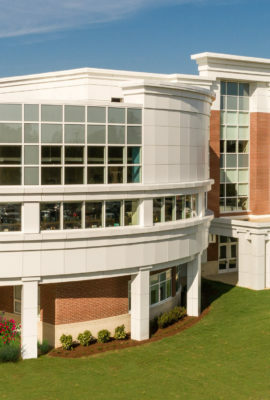 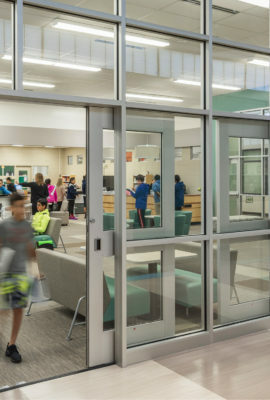 Academic wings at all grade levels feature various-sized learning studios, retractable walls and central collaboration areas. 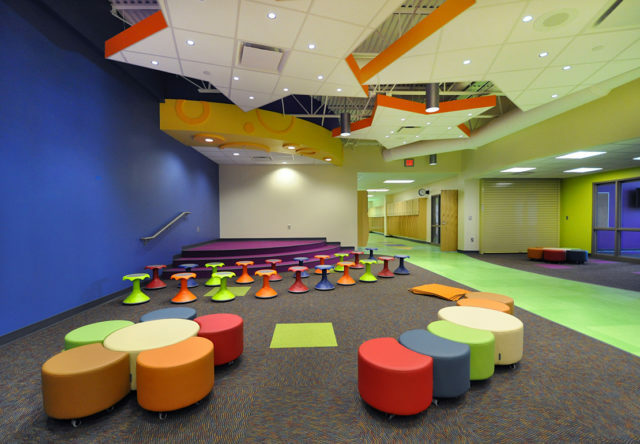 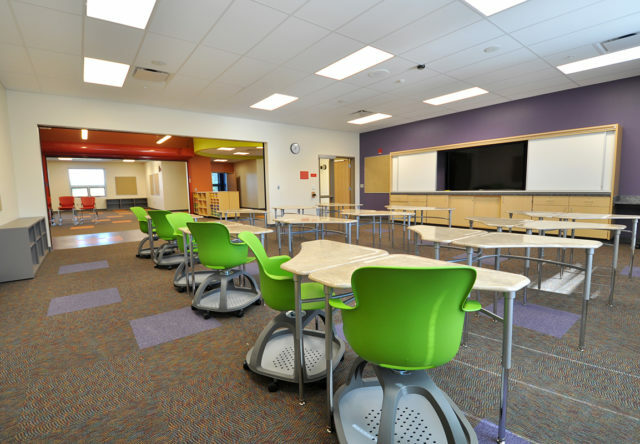 The learning studios within contain movable furniture and integrated technology to support the 5 C’s curriculum. 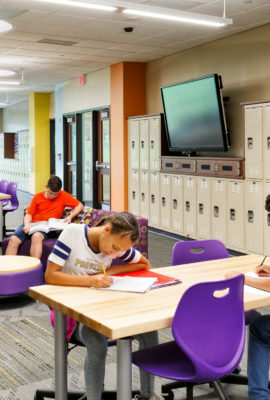 Academic wings at all grade levels feature various-sized learning studios, retractable walls and central collaboration areas. 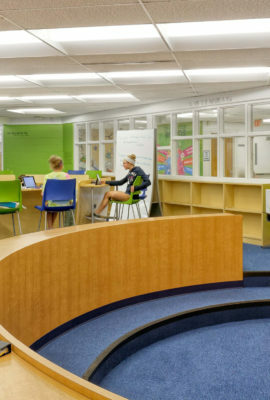 Learning studios contain movable furniture and integrated technology to support the 5 C’s curriculum. 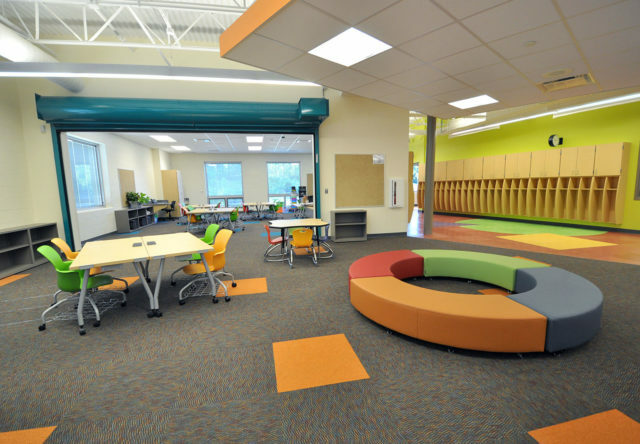 Small presentation spaces allow younger students to share their work and learn valuable communication skills. 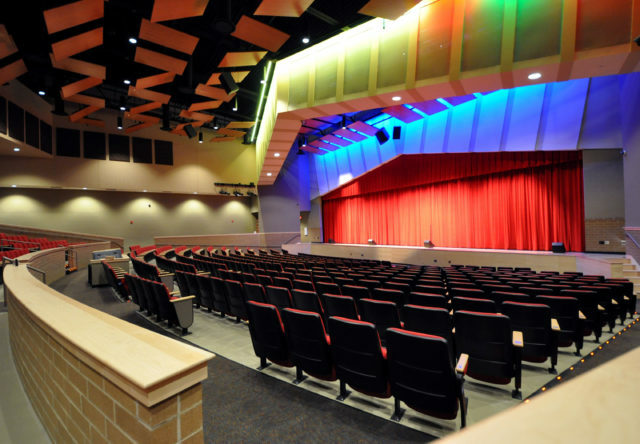 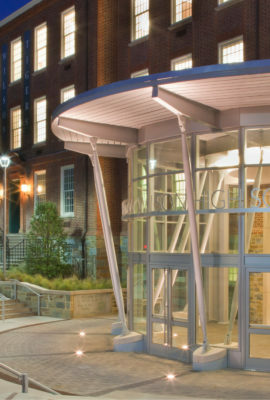 A vibrant auditorium supports larger performances for students of all ages. 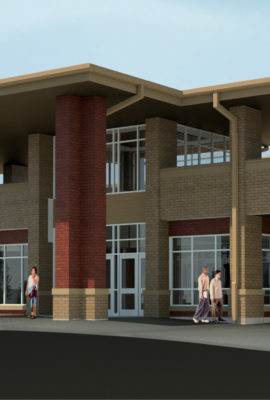 The flexibility of the design supports the client’s progressive vision for education in southeastern Columbiana County.